Holidays online, That's much better! 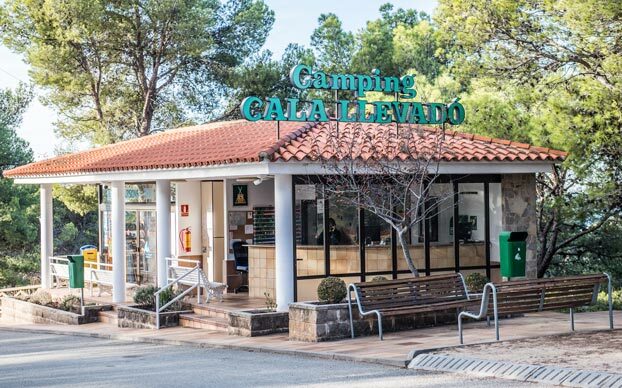 How to get to Cala Llevado campsite by car? From Perpignan (France), take the A9 motorway/‘la Catalane’, towards Perthus toll station. Take the AP – 7, ‘Autopista del Mediterraneo’ for 83 km, then turn right towards C-35 Tossa / Mar Lloret until Tossa de Mar. Plan 1h40 to cover 145 km. From Barcelona (Spain), take the AP-C-32 motorway/‘Autopista del Maresme’ for 50 km, then take the GI-600 and exit at Tossa de Mar. Plan 1h20 to cover 87 km. The closest airports are in Girona and Barcelona. Barcelona is an hour and a half (80 km) away by bus. The bus leaves every half hour from the airport, takes a city-centre route through Barcelona and stops right in front of Cala Llevado campsite. Girona is a 45-minute drive away (40 km). Girona airport only has two bus services a day to Tossa de Mar but you can take a bus from Lloret de Mar where buses are more frequent. How to contact the Camping? adipiscing leo. accumsan vulputate, libero Curabitur ipsum luctus libero.